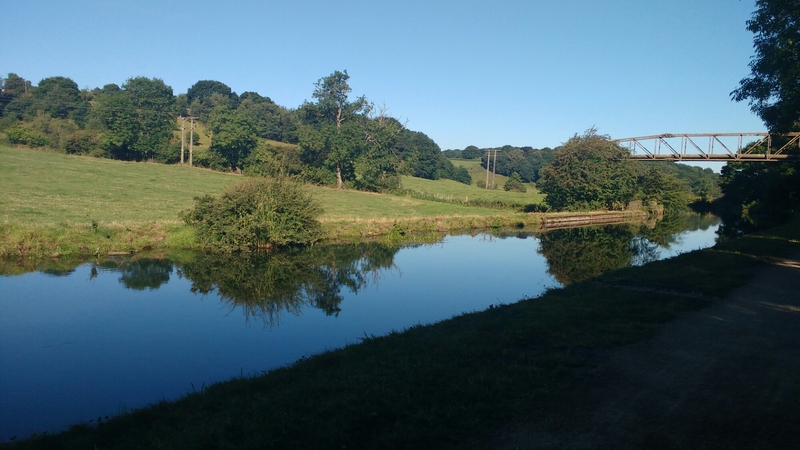 Cycling along the tranquil, tree lined, fairly flat, Leeds to Liverpool canal provides a perfect ride for casual bikers as well as the more serious. It stretches for 127 miles linking Leeds and Liverpool. The great thing about this cycle route, is that there are no cars present, not too many pedestrians and a majestic view. Not only does the canal cater to bikers but also runners and dog walkers alike. From the canal you can get to other destinations. I recently did the Leeds to Ilkley cycle. Google maps had me going along the canal to begin with from the city centre to Apperley. Here I veered away from the canal up several large hills all the way to Ilkley. While the beginning of the route (canal) was lovely the second half of my cycle was rather hilly and unnerving. The route took me on busy roads, dual carriage ways and across huge roundabouts. Other Pro Road bikers whizzed past me and so this way was clearly a popular path. I would just warn you if you are thinking about this route take caution and lots of water. It is approximately 21 miles from Leeds to Ilkley. As the Ilkley finish line was in my site a pro biker came up behind me and informed me that my back tire had a slow puncture in. I assumed I was unfit and thats why my legs were feeling the hills. She kindly informed me that it would be as if I was cycling through trecle. I think I would rather be eating trecle than cycling through it. Luckily there was a bike shop (Ilkley cycles) that was not too far away, so I popped in to get a new inner tube fitted. This bike shop was also a cafe attracting all the pro bikers, covered in lycra from head to toe, with their expensive Road bikes parked outside. The biker community is huge, and ranges from the young to the old. I must have been the only novice there not in lycra and without a professional bike. Nonetheless, I departed with a fixed bike. After having a mooch around Ilkley, I decided it was time to venture home. I got back to Apperley when my back tire completely deflated once again. 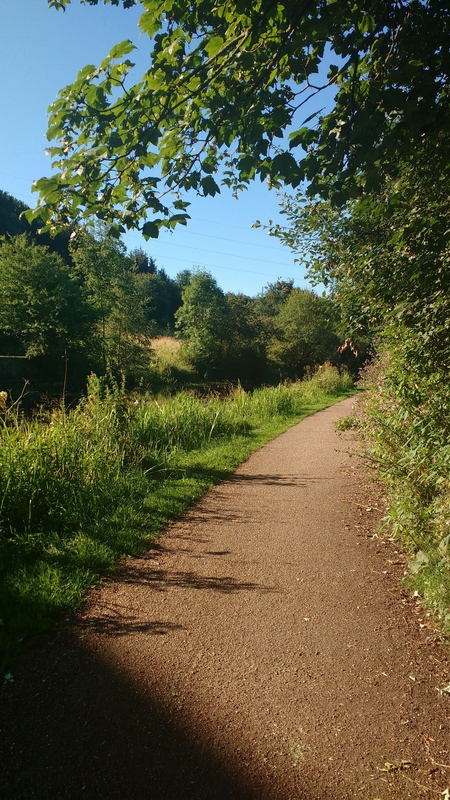 I was cycling through some lovely quiet woods when it dawned on me I would have to walk my bike to the nearest station and take the train back to Leeds. This was less than ideal. 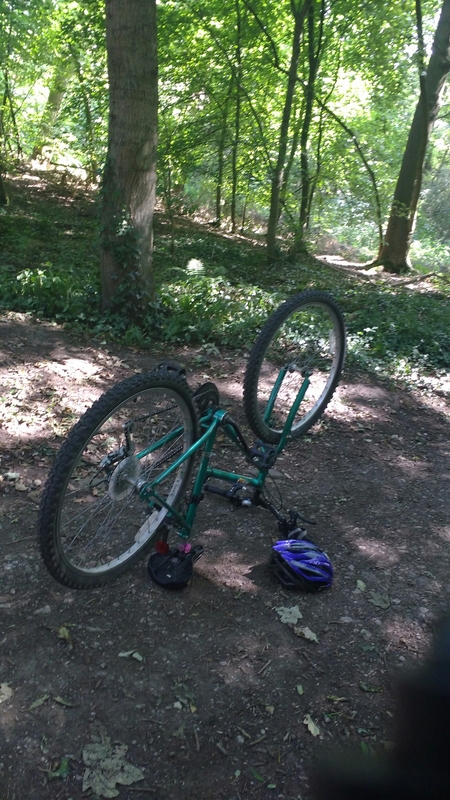 After some time walking through the woods I made it to a road followed by a station and eventually Leeds, where I found another bike shop and got my bike sorted once and for all. – Carry a puncture repair kit (and watch YouTube videos to know how to fix punctures). -Put your phone sat nav on loud in your bag to find your way around. -Note before hand where any bike shops may be (just incase). -If you are too scared to go on main busy roads make a detour or use the pavement. – Have fun, be ambitious and explore lots of a new places.